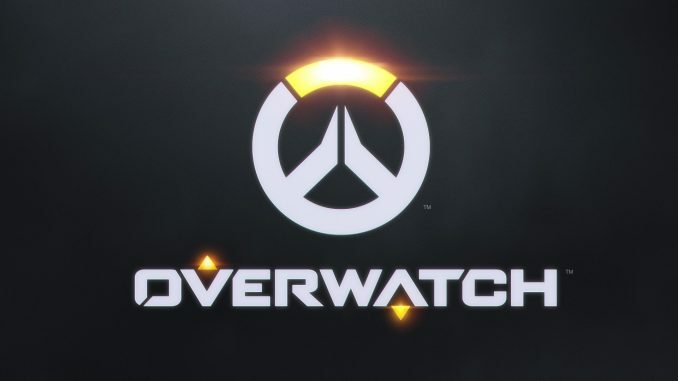 The 2019 Overwatch League Stage 1 Playoffs are upon us, with much to be determined about the teams that have qualified. The original franchises and the new expansion teams are in many ways still figuring out their relative strengths and weaknesses, which should make for some interesting match-ups. The 1 vs. 8 match-up sees the top seeded Vancouver Titans against the Boston Uprising, who just narrowly made it in. Vancouver have been the clear beneficiary of the GOATS meta, with their star main tank in Bumper thriving in the three tank and three healer focused meta. Combined with JJANU up front with other recognisable names all over this roster, the Titans appear to have what it takes to be an expansion team that takes home a Stage 1 Playoff Championship title. Boston took home three of their last four matches to reach the playoffs, with their final win coming in a reverse sweep over the Dallas Fuel, who would have clinched a playoff spot with that win. While obviously a tough match-up, watch out for the play of NotE, one of only two players who has stuck around this line-up from the beginning. The 2 vs. 7 match-up features the New York Excelsior against the Seoul Dynasty in a Korean showdown. Obviously, New York are still loaded after retaining much of their line-up from last year including the Inaugural Season MVP in Jjonak, who remains an absolute monster as a healer with incredibly high damage numbers. The upfront duo of Mano and Meko have also thrived within this meta and New York have shown no signs of slowing down, joining Vancouver with zero series losses thus far. For Seoul Dynasty, the addition of Fissure has been solid, but there is always worry with his past that at any time he could suddenly become too difficult to deal with despite his immense talent. This series, like many others given the meta, will be about whether or not Seoul can establish a consistent frontline and break the defensive nature of New York Excelsior. The most anticipated match-up this week is the Toronto Defiant against the San Francisco Shock, with each having solid expectations after reaching the playoffs. Another of the expansion teams with a chance of making some noise, the Defiant, who have won their last three matches, have had a week off to prepare. The one-two punch of Ivy and envy has worked wonders given their individual skill, but keep in mind Toronto have struggled when going against unexpected and unusual compositions. San Francisco Shock have had an incredibly difficult schedule throughout the first stage and were able to qualify despite that. Sinatraa has been the key member for this squad, with his Zarya damage being some of the highest in the league, albeit at times also leading to his death given how aggressive he is. Shock were one of the highly anticipated teams entering the year and they now have a real chance at proving themselves. In a battle of teams that are looking for true validation, the Philadelphia Fusion take on the Atlanta Reign in an interesting opener. Philadelphia enter riding a deceiving three game winning streak, with each match coming against some of the worst teams in the entire league. Philadelphia generally run a line-up that has six starting players from last year, giving them an immense amount of synergy and coordination, which is key in this meta. However, given their light schedule, many are not sold on this squad, with players such as Eqo and Carpe looking to prove themselves yet again. Atlanta, on the other hand, have been up and down all year long, even falling to the Chengdu Hunters before defeating the Houston Outlaws in the final week to qualify. With a heavily mixed roster, it was unknown how Atlanta would shape up in the opening stage, and they now have an opportunity in the playoffs to cement themselves as a dangerous team moving forward. Dafran remains the player who makes this team go, and his performances in the playoffs will be the crux of how Reign performs as a squad. The big question of the Stage 1 Playoffs is will Vancouver or New York remain undefeated and win out, or will some other team grab the momentum and pull the upset? No team managed to stay unbeaten through a stage and playoff last season and the Titans and Excelsior have the opportunity to create some history.